Liminal Space is a transitional or transformative space. A waiting area between one point in time and space and the next. Just like how our cultures and communities are diverse and varied, so too is the beautiful, enchanting and creative history of art. Thankfully being Latino isn’t just a singular experience and in this exhibition, you will see how these creative local artists are taking the knowledge and tradition of the past and its experiences and transforming our perceptions about cultural interpretations and identities into something that is new and original. 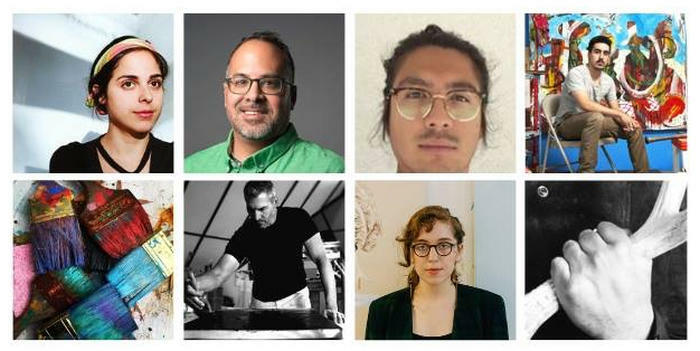 Meet the seven Latinx artists of Espacio Liminal to understand their artwork and background. Join us on Thursday, March 28 at Museo De Las Americas from 6pm - 8pm. RSVP Today!